Wipe down your floor tub and place the opening facing up on newspaper. 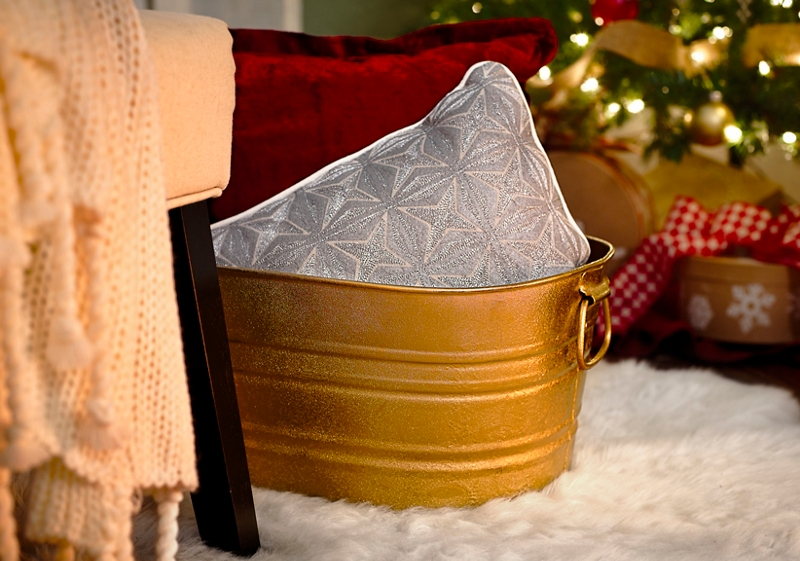 Paint with Krylon® Premium Metallic in 18 kt. Gold using a sweeping motion from side to side. One dry to touch, lip the floor tub over and spray the outside of the tub.